Photograph © Sarah Edwards. Courtesy Chelsea Space. Since creating her first collection in her parents’ spare bedroom, designer Molly Goddard has worked closely with her family as her eponymous brand has grown. Her sister, Alice Goddard, has worked with her as a stylist, while her mother, Sarah Edwards – once a primary school teacher and now photographer and set designer – has created immersive and enthralling sets for her shows and installations, from an 18th-century bedroom for the designer’s Fashion in Motion show at the V&A to a canopied marketplace for Spring/Summer 2019. Now, an exhibition at Chelsea Space celebrates the collaboration between Goddard and Edwards as designer and photographer. Here, Goddard’s effervescent tulle creations are captured up-close and abstracted; folded up and tumbling from a ceramic plinth, hanging beneath some plastic sheeting, or with focus placed on the intricate shirring of a sleeve. In the exhibition, which is titled Dress Portrait, gowns and photographs from Goddard’s archive are brought together, with the dresses often appearing as the subjects of still-life imagery rather than worn by a model – or if there is a model, the print itself might be hanging on the wall partially obscured by a translucent plastic sheet. This playful approach to displaying Edwards’ images is an extension of the way Goddard creates clothes – clothes which, through Edwards’ lens, are seen in a beautiful alternate reality. A connection to the exhibition space, which is housed in the Chelsea College of Art, comes through in Dress Portrait’s Reading Room, an element of the show that was created by Goddard in collaboration with students on the institution’s Masters course in Curating and Collections. The Reading Room offers a closer look at Goddard’s practice, with her notebooks, research material and studio equipment on display. 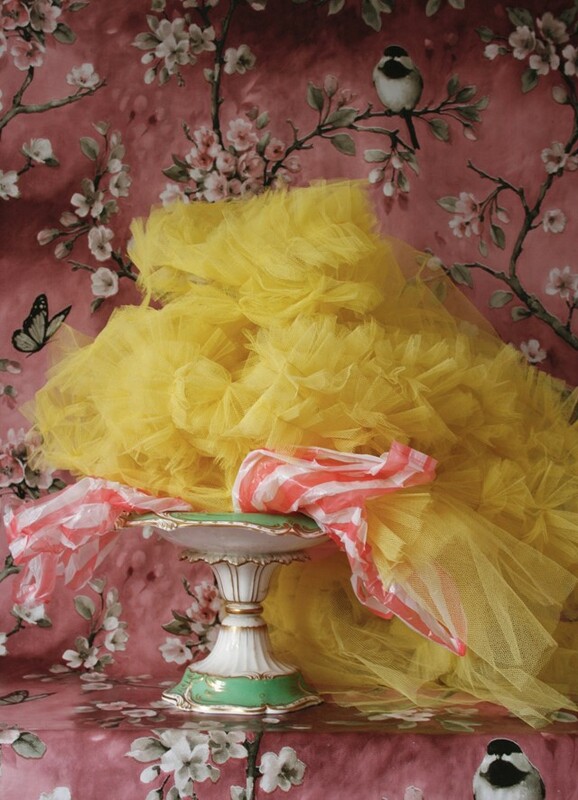 Much like Patty, Goddard’s Tim Walker-lensed photo book released last year, Dress Portrait is a celebration of the Molly Goddard way, with the joy of close collaboration at its centre. Dress by Molly GoddardPhotograph © Sarah Edwards. Courtesy Chelsea Space. 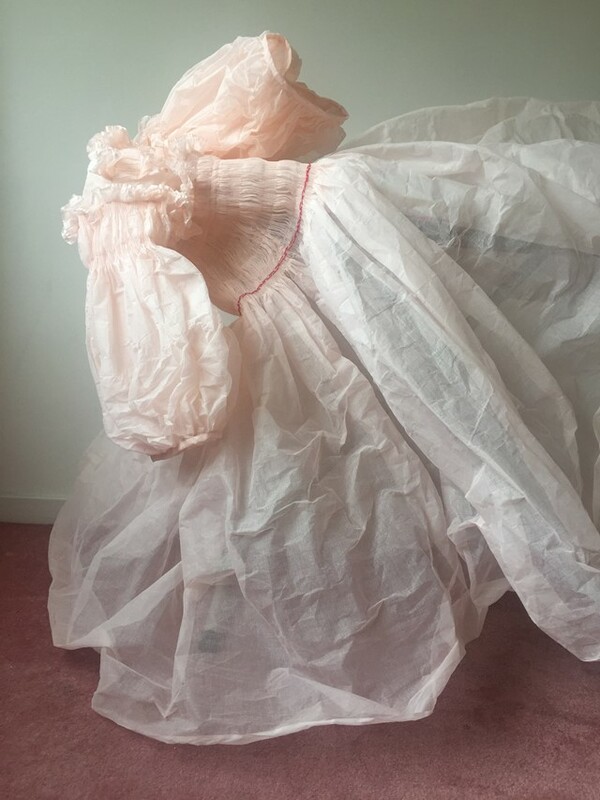 Dress Portrait: Molly Goddard and Sarah Edwards is at Chelsea Space, Chelsea College of Art, London, until March 1, 2019.